I have to admit I am pretty new to Anathema’s music. A few months ago I idly, having seen the name enough times, decided to check out the album Weather Systems. Well, didn’t my little brain just about explode! So I followed it up with We’re Here Because We’re Here. In comparing those two with some earlier albums I also checked out, it seems there’s an ongoing progression to Anathema’s music, from the darker, far less mature thoughts of a gloomy doom-obsessed metal band to the very adult, mature and hopeful ruminations of thoughtful grown-ups at the height of their powers. We’re Here Because We’re Here is a great dramatic alternative rock album of sweeping songs with progressive rock touches, and beautiful, intelligent lyrics as well. Weather Systems was a new step forward altogether, chock full of lavish arrangements that lift the well-crafted songs up to rank with the greatest rock music ever recorded, and an even more profound emotional tone. So now we have a step further in the band’s development, distant satellites. I don’t mean to be glib, and I’m sure Anathema’s older music (which, to be sure, moved well beyond doom by the late nineties) has many, many fans, but it’s almost like some time after 2004 Daniel Cavanagh was slapped by the hand of God and started to realize his limitless talent and potential as a writer (mind you, A Natural Disaster, Judgement and Hindsight are stellar albums by anyone’s standards — it’s just this latest stuff is so good). This sort of mature super-development is not unknown, though it isn’t that common; still, I don’t much like Steven Wilson’s earliest Porcupine Tree recordings, but damned if he isn’t making some of the best music around at the moment. Anathema’s raison d’être is naked, questioning and questing emotion, which sets them a bit apart from other modern progressive bands like Porcupine Tree, Radiohead and Muse. Those bands are all capable of emotional heights and stabs of profundity, but none features a catalogue of songs that so bravely examine our most wrenching joys and fears, as Anathema does. And unlike other supposedly heart-on-sleeve acts like Coldplay and Snow Patrol, you never doubt that Cavanagh’s songs come from a place deep within his soul, or that his brother Vincent doesn’t feel every single word of it as he sings. Doom metal is a little, well, limited in a way because of its relentless obsession with existential angst and hopelessness. It’s fine for a few songs, but after that you basically have to decide whether to take a band’s advice and kill yourself. However, coming as he does from that tempering background, when D. Cavanagh grew up and decided to let a little light in, instead of going for gooey, cheesy optimism, he’s fashioned a vibe based on an acknowledgement of the inevitability of death and suffering; transcendence comes through recognizing the enlightening powers of universal love. Leaving far behind the permanent melancholy of doom music, Anathema asks the big questions about life and death in a consistently uplifting and enriching manner. And they do it in songs with expansive arrangements for delicate or grandly soaring guitars, strings, soft keyboards, dramatic piano and the lovely vocals of Lee Douglas, the backing/occasional lead lady singer. This music is grandiose but very down to earth and humane, with beauty and truth as its only goals. It’s so refreshing to hear in these times, when obscurity and fake sincerity are generally the order of the day. And it’s no surprise that the band has larger audiences outside of cool-obsessed places like the US and Canada, in places where listeners just want to hear good, enriching music that is measured by talent, not the length of beard. So, Anathema’s arrival in my listening life was quite welcome, to say the least. Reading that a new album was imminent was the frosting on the cake, and I could but hope that it would provide me with the same pleasure that Weather Systems has, since I can’t emphasize enough just how great that album is — perfect from the first note to the last. So let me add my little voice what will no doubt be a cacophony of praise for distant satellites. The album starts off symphonically with the strings of “The Lost Song Part 1” (arranged by Dave Stewart of National Health prog fame), a busy, almost post-punk drumbeat laid over a pillow of string sounds, piano and Vincent Cavanagh back in full dramatic vocal form. I must say that his more experimental vocal style mixes extremely well with the pure, bell-like tones of Lee Douglas. The theme of this album being, I believe, not astronomy but people as “satellites” distant from one another, there’s plenty of opportunity for emotional, heartfelt lyrics as well. As with much of modern Anathema, the song builds up to an ecstatic crescendo with beefy guitars added to create a crest of glorious sound. V. Cavanagh again proves on this buildup that he is possibly one of rock’s greatest tenor lead singers. Phew, that’s just track one… “The Lost Song Part 2” mimics the technique used on “Untouchable” parts 1 and 2, as a piano ballad gives Lee Douglas a chance to show off the wonderful purity of those pipes of hers and a great set of inspirational lyrics (“the feeling is more than I’ve ever known” indeed), accompanied by lovely ambient backing tracks and strings. I wondered whether they’d be able to match “Untouchable Part 2” or “Dreaming Light” again on this record, but by George, they’ve done it! Interestingly dissonant chords are the basis of “Dusk”, giving the tune an almost grungy feel off the top (Alice in Chains-ish, so good grunge at least!). Again, I note that some of the vocal experimentation Vincent demonstrated on the A Natural Disaster album seems to have returned after more measured performances on the last two albums. An interesting track that also features a pretty piano interlude and yet another lovely crescendo of a finale. “Ariel” gives us yet another slice of beautiful piano (whoever’s recording the piano sound really knows what he’s doing) and yet another chance to enjoy Lee’s vocals, which are really featured on the first half of this album, more than on any other so far. This is a good thing. The simple, repetitive piano part allows her to build up the drama of her vocals as the strings move like an ocean swell underneath before Vincent and the guitars join her in an astral emotional voyage, returning to the key line, “Love so strong it hurts.” Not sure a rock song could get any more beautiful, to be honest. Nice also that D. Cavanagh reserves the last repetition of the key lyrics for his softer voice. You deserve it, sir! “The Lost Song Part 3” has been released as a sort of single. It’s based on Rhodes, which is awesome, married to a tense beat with brushes. This is probably Vincent’s star turn of the album, as he starts subtly and almost strangled before ending the song in full-throated flight. Jangling guitar lines and Lee Douglas come in (yes, the guitar reminds me of my beloved Church band) as a gloriously melodic section closes the song (“Beauty is endless” could really be Anathema’s current slogan to summarize their whole vibe). 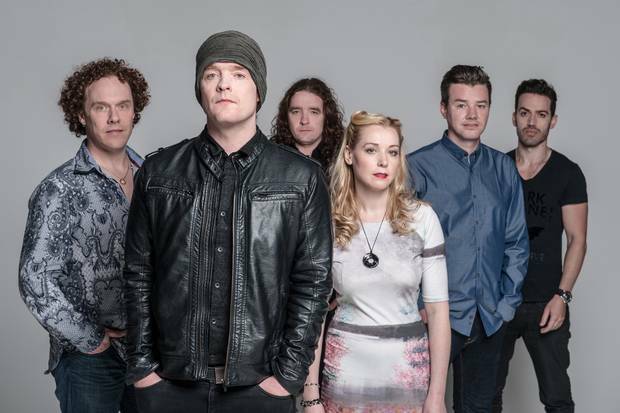 The eponymous track “Anathema” is full-on symphonic rock (rejoice, prog-rock fans!) that seems to be an actual manifesto about what the group means to its members (references to “searching” through song make sense to me). It’s ambitious to do this, I must admit, and not everyone will appreciate it, but I’m a fan of both artistic ambition and honesty, so it works for me. We finally get a hot guitar lead too — I think Danny Cavanagh may be selling his skills a bit short by not taking enough hot solos on Anathema’s current material. Love the strings too! Things take somewhat radical turn with “You’re Not Alone”, which is more sort of experimental electronica — a full-on electro beat and funky guitars that should divide the fans, I’ll bet. When the guitars come hammering in, things get a touch Killing Joke-ish, which helps me appreciate it. Just a touch, but it’s enough! Good sequencing of the tracks, though, because the respite of “Firelight” is pure ambient music, and well, I guess there’s nothing these folks can’t do, because Eno or any of my other ambient music heroes would be proud to own this lovely organ-sound-based piece. It serves as an intro to another electronic piece, the title track, which has very busy beats and mega-reverb on Vincent’s vocals, as well as a wrenchingly emotional set of lyrics. This may be more to most people’s tastes than “You’re Not Alone” (composed by V.C. and drummer/noisemaker John Douglas), because there’s an excellent vocal melody and Vincent sounds like an angel singing it. Honestly, Bono and Chris Martin should just retire if they hear this guy singing — this is how you do it. The naked emotion in his voice and the composition itself are what this band’s all about. And the combo of symphonic, atmospheric rock with harder electronic beats works very well. Ground-breaking, even, perhaps. Finally, Rhodes leads us into the finale, “Take Shelter”. Readers of this blog should know that I believe the closing track of a rock album to be crucial. 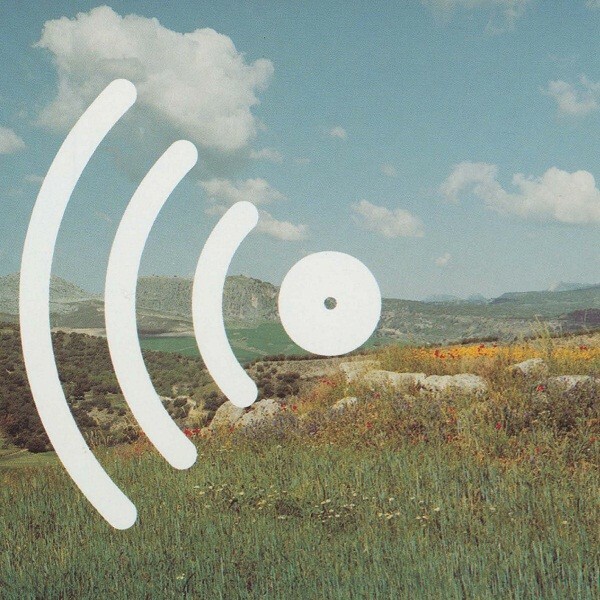 You can blow the whole experience for the listener if your closing track is not a cracker. And this is amazing! If Vincent C. sounded angelic on the last once, on this he’s moved up to another level (does Heaven have levels, like Dante’s inferno?) with achingly fragile delicacy. Glitch beats (how very current!) underpin the Rhodes and vocal as the tune moves toward the inevitable build-up, this time subtly and slowly, with beats again melding surprisingly well with strings and eventually guitar, ending with some really pretty string-quartet-type parts. 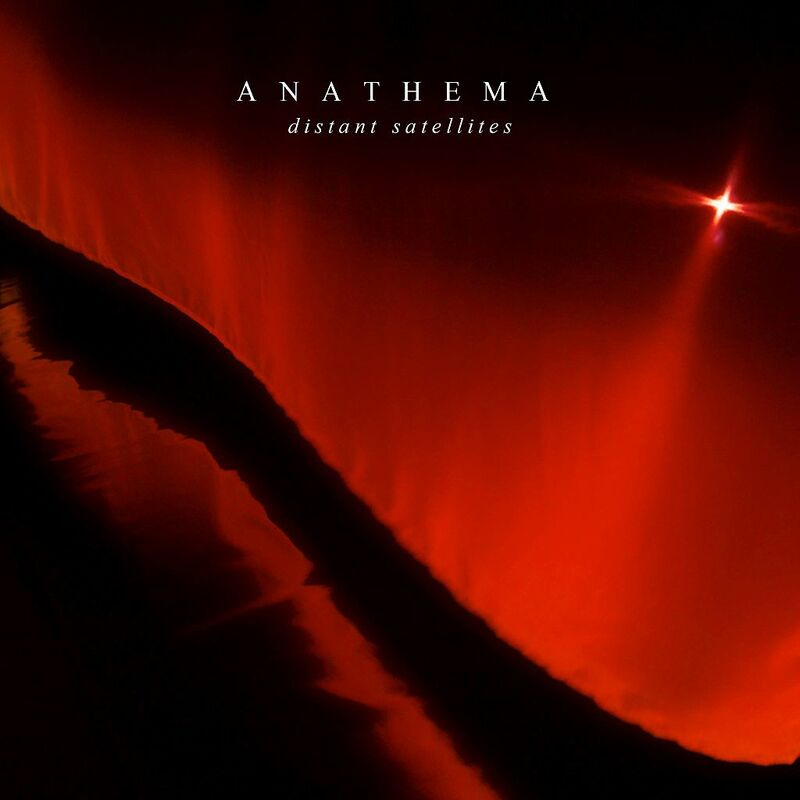 The second half of distant satellites is definitely a departure for Anathema, but they pull it off with aplomb — this is possibly the first truly successful marriage of modern beat-based electronic music and “prog” that I’ve come across. So, yes, this album does take the band’s music forward. But really, that’s not relevant so much to me — what is relevant is that once again the band has provided a musical experience that will uplift and enrich my life for years to come, an experience I’ll want to bathe in regularly. You can call this music whatever you like, but Anathema’s unabashed, unswerving dedication to making the most beautiful and meaningful rock music possible is a gift we should all be grateful for. Hadn’t heard this was out, I’m a big fan of A Fine Day to Exit and We’re Here… but don’t like a lot of the other albums I’ve listened to, must give it a go after your review! It’s worth a shot for sure! Thx for the comment as always. Great review! My only problem with the album is its pacing, as all the electronica-orientated songs on the second half. I think the album might flow a bit better if these songs were more spread out, but this is only a minor quibble. The album’s incredible nonetheless and managed to live up to the high standards set by WHBWH and Weather Systems. You’re right — they seem to have deliberately set off the second half. It’s possible the album would be even better with a blend of the tracks rather than two distinct halves, but then maybe they’re telling us that in future they will be prog-rock’s answer to the Gorillaz! Thanks for give me a beautiful stuff to read about this wonderful album. Thank you so much for writing this review, Anathema are so frighteningly overrated considering the sheer quality of their music. It’s nice to see someone rationally acknowledging how good they are, and eloquently praising the immense musical talent that Daniel and Vincent have (Vinnie’s voice, in particular, doesn’t get enough recognition, I feel). A delightful read, just as the album makes for a delightful listening experience. Thanks! Their music was a major discovery for me this year, so I wanted to share it!